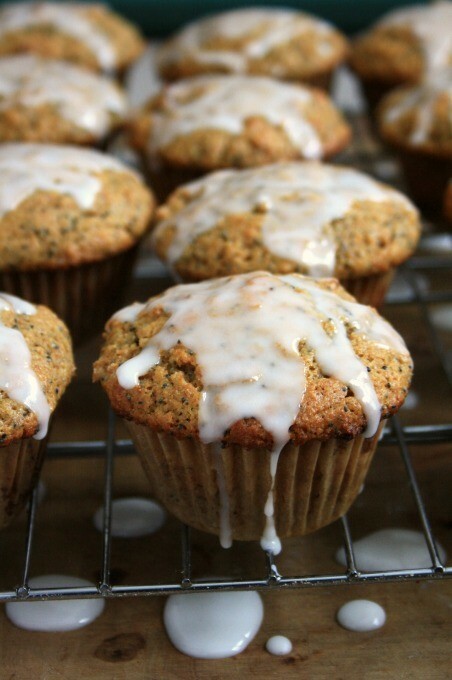 With the bright flavours of lemon zest and lemon juice, and the tart-sweet glaze, these wholesome lemon poppy seed muffins are reminiscent of summer in the thick of a snowy winter. After enduring the second blizzard in four days our living room resembles the laundry room with a family’s worth of snow suits, hats, mitts and boots drying by the fire. There is a snow bank half way up the kitchen windows and a three-foot drift against the back door. The kids are off school so we’re all tucked inside enjoying a leisurely breakfast before it’s time to get suited up and shovel out. This is a baking morning. 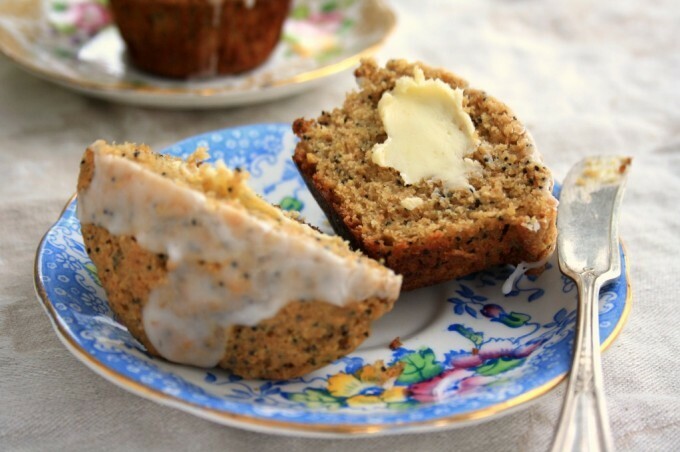 As we hunker down in our cozy house nothing smells as good as fresh bread and muffins on a snow day, especially lemony poppy seed muffins. In a large bowl whisk together flour, sugar, baking powder, baking soda, ginger, poppy seeds, lemon zest & salt. In a medium bowl whisk the eggs, then whisk in the milk, molasses, vanilla, lemon juice and melted butter. Make a well in the dry ingredients and pour over the liquid mixture. Stir gently just until the flour is moistened. (Mixing should be held to a minimum – a light stirring for 10 to 20 seconds. Batter will be lumpy and will break into coarse globs. Spoon into muffin cups and fill to the top. Bake at once until golden brown, 13-15 minutes. 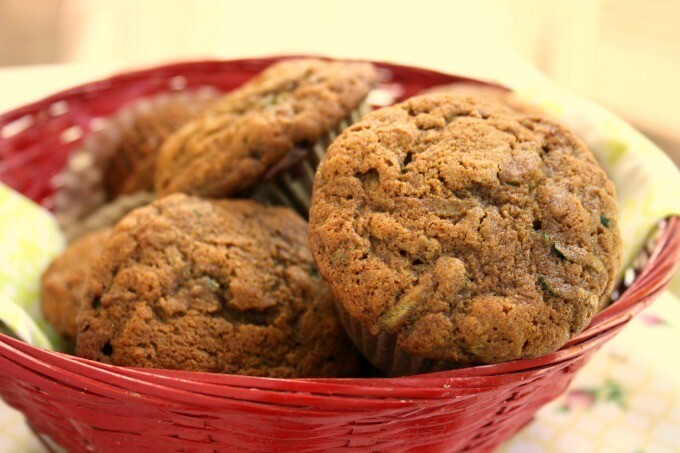 Whisk together and spoon over cooled muffins. Add more icing sugar if it’s too runny. I will be making these to take to my next potluck. 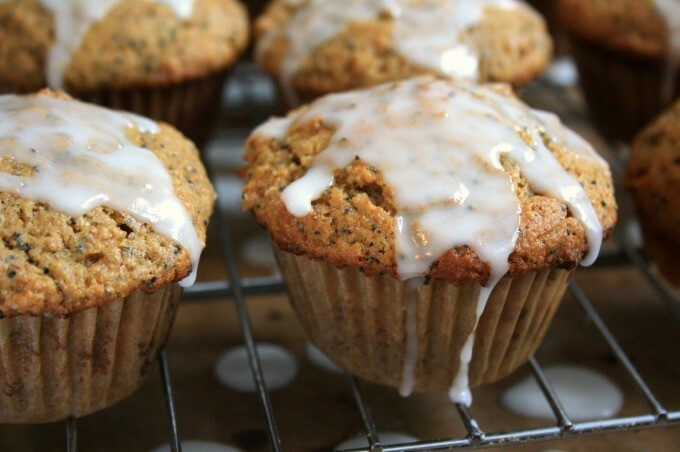 I love the idea of poppy seed and lemon flavor made more intense with ginger and the richness of molasses. Do you have nutritional info of these! I just made these muffins and despite being an avid and excellent baker, they turned out slightly mushy on the inside and well done on the out side. I watched your video and noticed a few descepancies. You whisked the eggs before adding the milk, you made a well before adding the wet ingredients and the recipes says it yields 14 muffins not 12. I made 12 and am wondering if this is the reason why they didn’t bake to the desired consistency. Here’s hoping the icing makes things edible at least. Dear Susan, Thanks for pointing out some of the mixing techniques I used in the video but neglected to include in the written recipe. Beating the eggs first and making a well in the dry ingredients before adding the wet are standard practice for quick bread recipes that I do without thinking. I’ll go back and update the recipe accordingly and will make an effort to include more detailed instruction in my recipes going forward. For your muffins not beating the eggs in advance could have had an impact on the texture of your muffins. (Can I assume your eggs were room temperature?) 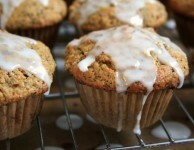 I hope that your muffins were at least edible and you enjoyed the lemony flavour.